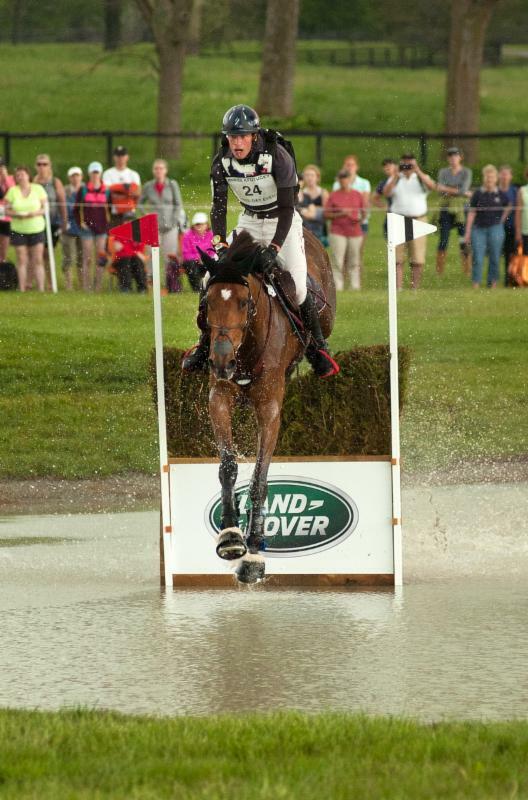 Event, presented by Land Rover, only three riders have ever managed to win two years in a row. 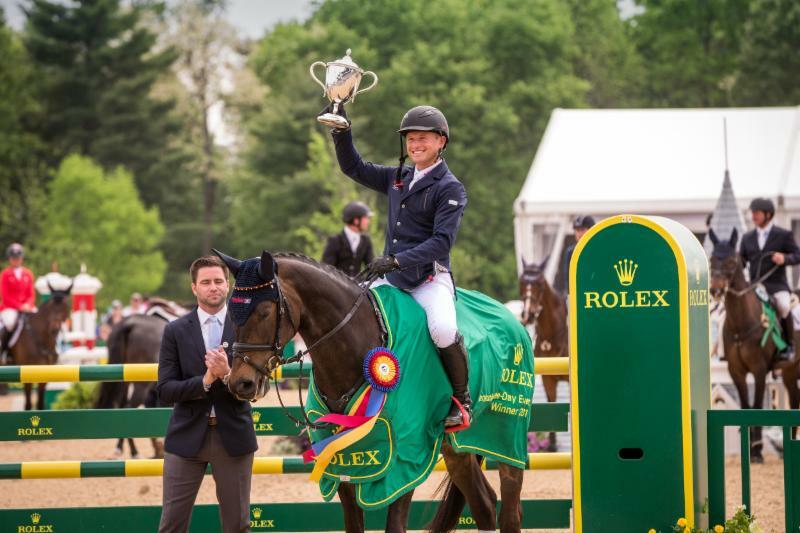 Michael Jung of Germany made history by winning the 2017 Rolex Kentucky Three-Day Event aboard FischerRocana FST, making him the first rider to win three consecutive years. The two-time Olympic champion added just a few penalties to his dressage score to finish on 42.7 penalties, just ahead of France's Maxime Livio on Qalao Des Mers (44.6) and England's Zara Tindall and High Kingdom (46.6). "I was really happy," said Montgomery, 35. "He came out this morning for his pre-ride and was a little on the muscle, so I didn't know what he was going to be like. But he came back out for warm-up and felt good, and in the test he felt great." Jung did not have his signature perfect round as his mare got a few funny distances. "I think that's cross-country," said Jung, 34. "You never know what will happen. You walk the course and make a plan, but then I felt in the warm-up today that Rocana was not feeling perfect with the weather. It made me nervous before the start, but on course she was galloping well and jumping powerfully." "I had a great ride," she said. 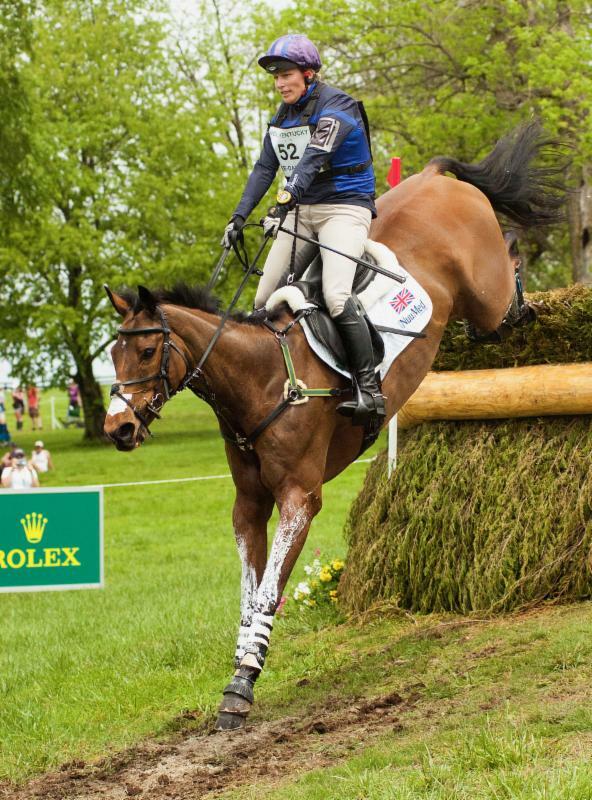 "I was pretty happy after my dressage and to get through to cross-country was already better than two years ago! I was happy for the rain last night, the ground was incredible. He loves this phase -- he gallops great, he's easy to turn, he's very good at all the combinations and we did what we planned the whole way around. He kept galloping well in the heat -- he coped really well." 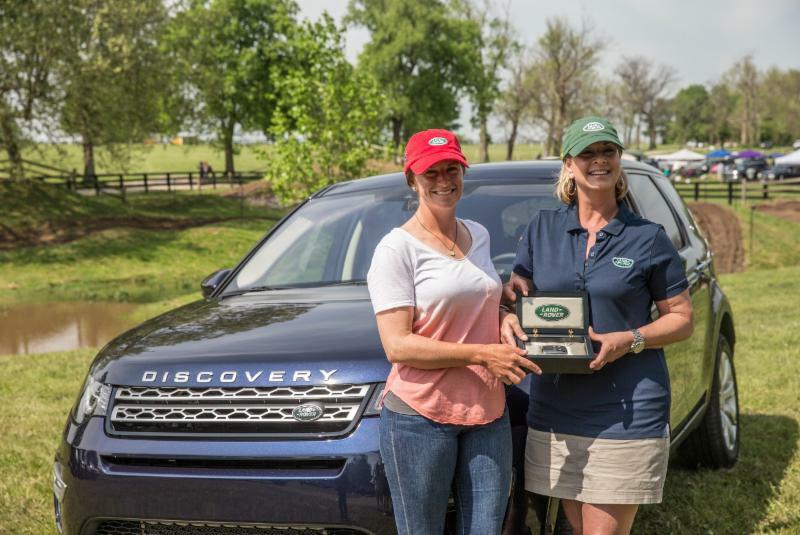 Sylvester had something to be extra pleased about, other than just jumping double clear at her horse's first CCI4* -- by finishing exactly on the optimum time she won the Land Rover Best Ride of the Day as the American finishing closest to optimum time with no penalties. She won a two-year lease on a 2017 Land Rover Discovery Sport. Show jumping day was hot and blustery, but that didn't prevent 24,159 fans from packing the Rolex Stadium to see the best in the world compete for $400,000 in prize money. Double-clean rounds were few and far between, with only one coming in the first session, by Will Faudree and Pfun. There would only be three more in the second session, turned in by Livio, Tindall and Kurt Martin on Delux Z. Dutton and Mr. Medicott would leave all the rails in the cups, but they had 1 time penalty. Jung was not perfect, but good enough, having a rail down in the triple combination. However, his six-point lead going into show jumping allowed him to claim the victory even with that one mistake. In addition to his $130,000 share of the prize money, Jung's victory brought home prizes for him groom Sabrina Zatche, his parents and owners of Rocana, Brigette and Joachim Jung, and Rocana's breeder, Mirko Glotz. "Without the horse you are just walking people; I'm not sure how you say that in English," said Jung with a laugh. "This is a wonderful horse, she is absolutely a top horse, and she is always fighting for me. We have a partnership, I know everything that she needs for me to motivate her. I am so thankful for my whole team and especially for my horse." "There is always a little pressure in the ring, especially at a four-star with all the top riders," Livio said. "With my horse, I just have to stick to him and stick to my ride, and if I do that the pressure goes down. I know if I'm focused on my riding, the horse will do his best." Tindall put in a sparkling performance to join Livio as the only two to finish on their dressage score. "I'm obviously very lucky to come back and very thankful to my owner and to Land Rover and Rolex to be able to come back," she said. "It's great to be sitting up here with these guys. My horse was fantastic all the way through the competition -he jumped great today. "He doesn't owe me anything," added Tindall, noting the horse has been in the ribbons at several four stars and has a Olympic and World Championship medals on his resume. "I loved riding him all weekend. This is such a fantastic competition, thanks for having it." Dutton, 53, brought three horses to Kentucky, and all three finished in the top 10, with Fernhill Fugitive finishing eighth (63.0) and I'm Sew Ready 10th (69.1). But it was his top placing mount, Mr. Medicott, who brought Dutton his fifth USEF national championship. "I was quite unsure about whether I should bring him," Dutton admitted. "He's been off for two years, but there wasn't much else for him the rest of the year that was suitable, and for a horse like this, this is an appropriate event. For him to show so much heart-I mean, I only did one horse trial on him in two years. He's such as an incredible horse. I probably didn't have him fit enough, but he was just incredible this weekend." Other special prizes included Canada's Hawley Bennet-Awad bringing home the Bank One Trophy as the highest placed rider/sole owner aboard Jollybo and Madeline Backus and PS Arianna winning the Reeves Trophy as the highest-placed young rider. Savannah Fulton and Captain Jack won the Zeppa International Trophy for the best presented at the horse inspections and Backus and Arianna brought home the Equis Boutique 'Best Presented Horse' for the third horse inspection. The Dubarry of Ireland 'Best Dressed' Award was given out at the first horse inspection, with the prize of boots going to Allie Sacksen and Boyd Martin. 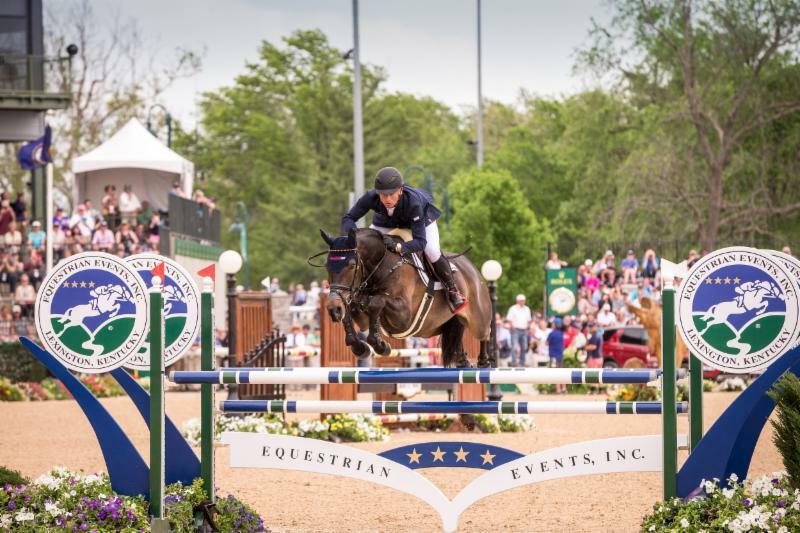 The Rolex Kentucky Three-Day Event is the nation's premier Three-Day Event and one of the most prestigious equestrian competitions in the world. The International Equestrian Federation (FEI), the world's governing body of equestrian sports, has designated the Rolex Kentucky Three-Day Event as a 'Four Star' eventing competition, the highest designation, which is given only to the Olympic Games, World Championships, and six annual events around the world. 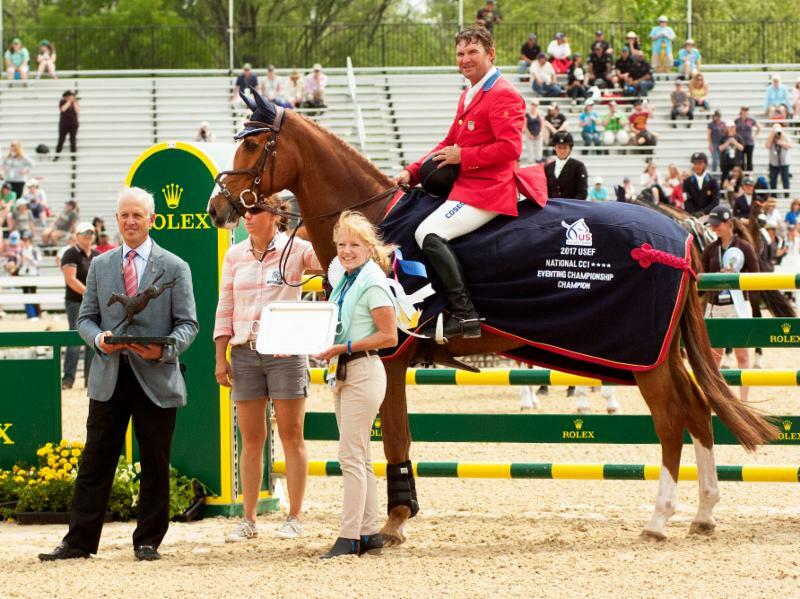 "Rolex Kentucky" is the only Four Star event in the Western Hemisphere and is part of the Rolex Grand Slam of Eventing. It hosts the Dubarry of Ireland Nations Team Challenge and serves as the Rolex/USEF CCI4* Eventing National Championship. The official charity of this year's Rolex Kentucky Three-Day Event is Central Kentucky Riding for Hope (CKRH). Further information is available at the event's official website at www.RK3DE.org.